Many users have reported an issue where they are unable to use their laptops because whenever they try to click on any icon, the cursor starts moving rapidly for a few seconds till it halts. The causes could be many. It could be with the touchpad (since most of the reported issues are by laptop users). It could be with the touchpad hardware or with the drivers or the operating system. We cannot conclude the reason behind the problem but troubleshoot sequentially to isolate every possible cause. To isolate whether the issue is with the touchpad or the software, we could try connecting an external mouse, preferably a USB one. Since a USB mouse uses its own drivers and is quick to install, we could use it to isolate the issue. If the external mouse works fine, the issue may or may not be with the touchpad’s hardware and/or drivers, but it definitely isn’t with the system itself. This would be an important conclusion while deciding which all following solutions to try. Updating Windows could fix a lot of bugs. Here’s the procedure to update Windows. It is suggested to update both the keyboard drivers and the drivers for mice and pointing devices. 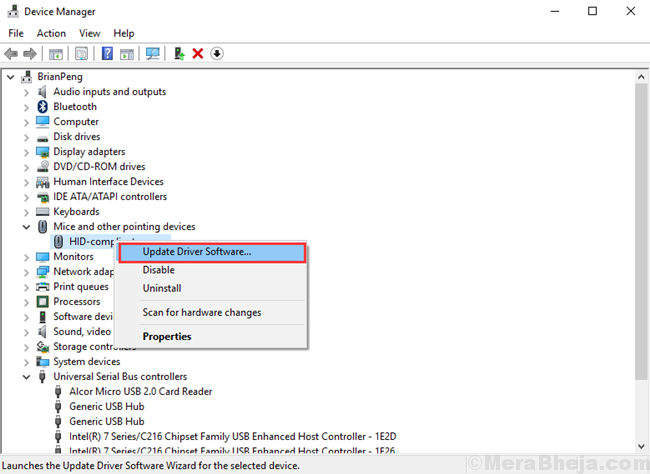 Here’s the procedure to update Windows drivers. The cause behind the issue could also be a virus or a malware in the system. To isolate this possibility, run an antivirus scan and check your system for such issues. I wouldn’t suggest messing up with the touchpad or mouse properties manually. Whatever the settings are, this issue isn’t related. But the best we could do is run the Hardware and devices troubleshooter. It would check the settings automatically for abnormalities. 2] Go to Updates and security and then to the Troubleshoot tab on the list on the left-hand side. 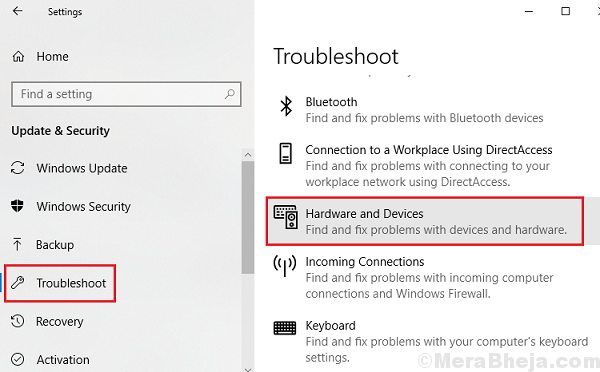 3] Run the Hardware and devices troubleshooter. 4] Restart the system once done and check if it helps with the issue. If the issue is with the touchpad and we consider it expensive to replace the same, we could disable the touchpad and use an external mouse instead. Windows gives options to lower the sensitivity of a touchpad but not to disable it completely. 1] Press Win + R to open the Run window. Type the command devmgmt.msc and press Enter to open the Device Manager window. 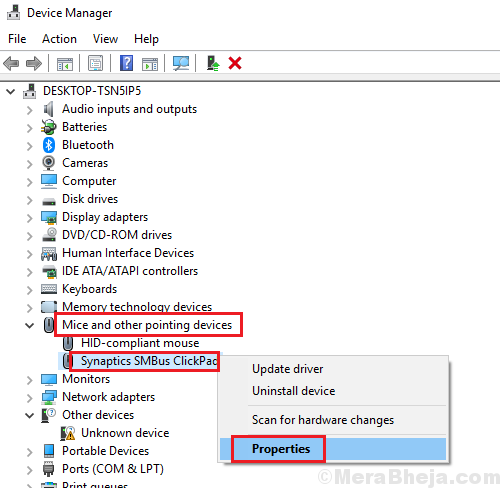 2] Expand the Mice and other pointing devices section and right-click on the Touchpad driver properties. 3] Change the Startup status to Disabled. Apply and save the settings.